Again Amen! I started blogging as a way to chronicle my life and an outlet and I made friends, as in real friends who I talked to more than my IRL friends and formed relationships because I knew what was going on people's lives. Now, I do not comment, I scroll past and feel so unconnected. I miss the days of "sponsoring" blogs to meet new people. Now I rarely post photos and just do not care if I get traffic or not. My instagram is private and I follow only who I want and I am darn ok with it. I read only a handful of bloggers none of which are main stream they are all moms or women I have continued to follow because they stay real, like you. Ah girl you know I’m with you. I will never have that perfect feed and I finally accepted that and am totally okay with it. 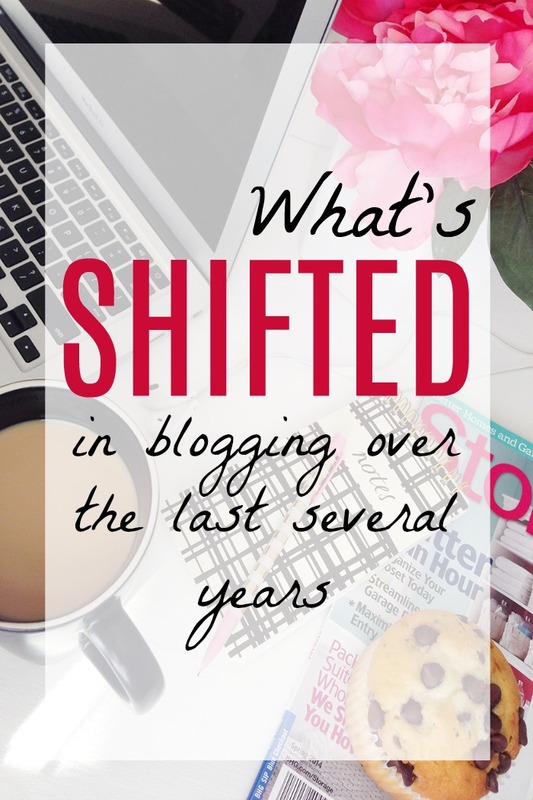 I share my real life and I really hope that someday blogging will get back to more of what it was. This is such a great and truthful post! I way to often find myself feeling like I am on that island of thoughts and feelings by myself. It is always nice to find out that is not the case. While I love some of the "Martha Stewart" blogs...for the same reason I like flipping through magazines with their perfect decor, I agree, I love the real bloggers too. But, if I'm honest...I don't really READ the content on those blog, just like I rarely read the articles in those magazines. The blogs I read have a lot more real in them. So I started blogging in the middle of 2015 and became really serious with it in 2016 after I got the domain I really wanted. I decided to blog as way for me to have a creative outlet too, so it's not just about the kids and also so my family could see what it going on in our life. I try not to let the numbers irritate me, but it does both with my blog and Instagram. Thank you for being so honest about the world of blogging! I think we should start a hashtag and call it like #TakeBackBlogging or something. It's no surprise to you that I feel the same way, that's why I've drastically put blogging on the back burner for me. It's back to something I do for fun and I'm really grateful for that. We watched Ingrid Goes West recently and it made me even more sick thinking about all of the ways social media has changed life. Haven't seen it? It's a pretty terrible movie, but the message will hit you in the gut. Yes! More and more I've been reminding myself why I started blogging. It was supposed to be an outlet and hobby. I enjoyed reading the real life experiences of other mom bloggers. But now everything is sponsored, no heart and no soul. I thought about quitting, but I'm not because I try to put out thoughtful content to help others. Thanks for speaking up on this. I love this!!! I'm actually working on a social media project based off this, because I feel like everything is so surface level and it doesn't show real life. I love this real, honest post. :) I like looking at pretty things as much as anyone, but when I'm looking to be inspired (the main reason I'd read a blog) I want the real, the true. Thanks for sharing this. Love this post! I believe that authenticity is the most important thing, and will survive through the "it girl" phases of this social media and that social media (hopefully!) I think in the long-term, your readers will connect with you if you are relatable, and will more likely continue to read! Amen to this. I think authenticity is so important, and people just need to be real! Thanks for this fabulous post! I haven't been blogging long, but I see the instagram game you're talking about. IG is something I haven't figured out yet. I don't like games very much....follow unfollow etc. So, we'll see how it goes. Thanks for sharing your experience! Well said, one has to focus on his or her journey and find joy in what they do. It is quite easy to be led astray by all these social media factors and the successes of others. I use only a few social media platforms for this every reason. You made some great observations. Wow I totally agree with this! It has completely shifted and it’s kind of sad, really. Thanks for sharing and being so honest. Preach sister! I started blogging about four years ago but never actually looked into others until recently...who are these people that live like this?! None of its real! I actually have a blog in the cue about this exact topic, so yeah, you’re not the only one thinking it! Cheers to being real! Oh my gosh! I LOVE, LOVE, LOVE the way you described your real-life tailgating party! That's just too awesome, and so real life. Seriously, because of so many of the very same things you discussed, in November 2017 I made the scary decision to scrap - literally delete - the majority of my lifestyle content and rebrand as a food blogger. I'm tellin' ya, for me food is much easier to deal with - no selfies, no photos of a perfectly manicured life, no constantly feeling like I must take interesting iPhone photos wherever I'm out and about to try to maintain a steady lifestyle IG feed. I have a simple collection of some lovely photo backgrounds and surfaces, some fun food props, a set of super scrumptious recipes I've created over the years, and I'm ready to go! It was sad to say goodbye to being a lifestyle blogger, but scrapping most everything to rebrand was a HUGE weight lifted off of me! I got my real life back!